Happy New Year Coffee Lovers! As I get my girls ready for school, I thought….huummm “a cup of coffee would really be nice right now”! Brewed up some Organic Sumatra. Found some Ghiradelli White Mocha in the pantry. Grabbed my Mason jar, added some evaporated and coconut milk, poured in the coffee, topped it with whipped cream and cinnamon and viola! 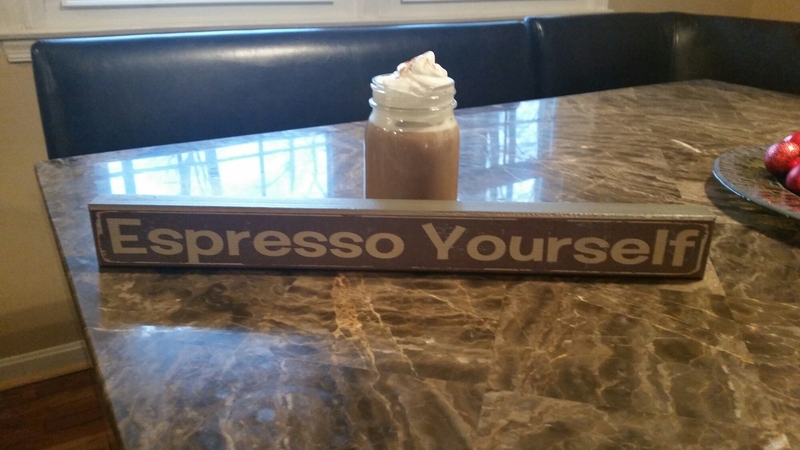 White Chocolate Mocha…..Esspressotrip.com style! May God bless and keep you this year and beyond! Categories: Uncategorized | Tags: #coconut milk, #Ghiradelli, #Happy 2017, #Happy New Year, #Sumatra, #whipped cream, #White Mocha, blessed, coffee, God, Grace, milk | Permalink.